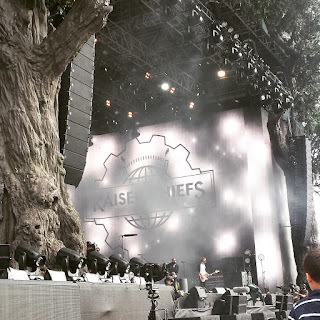 26th June 2015: There was one thing that the Kaiser Chiefs set definitely wasn't lacking and that was energy. Buckets full of it. 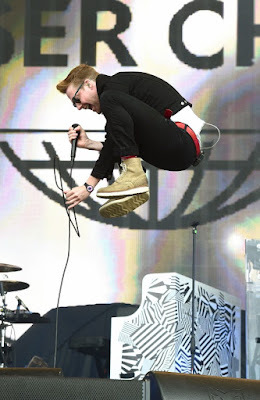 I don't think I've ever seen someone jump so high and run round a stage as much as lead singer Ricky Wilson was at Hyde Park. 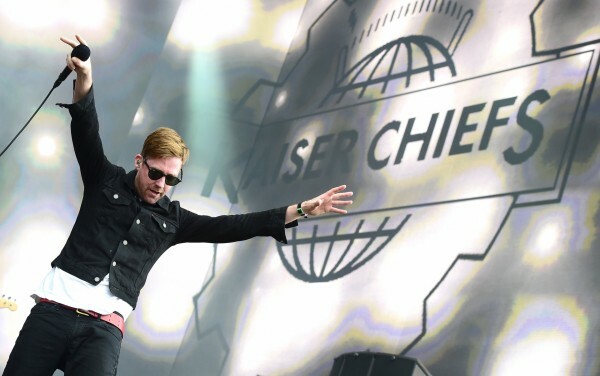 Taking to the stage Kaiser Chiefs welcomed a huge crowd with Everyday I Love You Less and Less. The sound this year on the Great Oak Stage has improved considerably, nothing was too quiet or too loud, it gives you the opportunity to hear some great live music. And when the sound is right there is nothing to complain about. Warming up the crowd for headliners The Who, Kaiser Chiefs created a buzzy atmosphere everyone dancing and singing along to the classics. We were treated to some songs from the new album Education, Education, Education & War which was released at the end of March. Songs included Ruffians on Parade, Misery Company and Coming Home. Ricky Wilson has the perfect ability to work with a crowd, his energy lifts off him and makes for a great performance. Literally flying around the stage, vocals faulted ever so slightly, but the showmanship made up for any hiccups in his voice. Crowd pleasers were Na Na Na Na Naa, The Angry Mob and the huge favourites Ruby and I Predict a Riot. These songs are written to be performed live and are especially suited to festivals, you get to hear them in the atmosphere they are meant to be heard in. It was a start of a perfect evening, the sun still out and reaching over Hyde Park. A huge audience listening to Kaiser Chiefs and dancing all the way through their set. Great way to start the evening.